does that mean her sister is, too? With nowhere else to turn, Jewel must rely on police chief Colin Winters-the first man to make the widow question her resolve to never love again. But will he stay by her side when her guarded secrets are revealed? This is another intense romantic suspense novel! Even though this is the sixth book in the series the actual plot is a stand-alone story. The only thing that connects it to the other books is that a number of the secondary characters in this book were main characters in previous ones. There are hints to where their lives have gone since their stories were told. 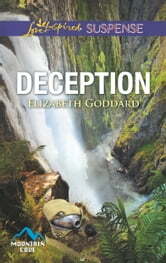 I love picking up a book by Elizabeth Goddard. I know that I’m in for a real treat. There was no disappointment for me in this one. She has once again crafted wonderful characters. Both of the main characters made appearances in previous books in the series. This time they are front and center claiming all of our attention. The story starts off with an incredible adrenaline rush as Jewel’s life is endangered almost from the beginning. It continues its roller coaster ride through danger and brief periods of rest and contemplation. Who is after her? What is her secret and is it the reason she is in danger? Can she trust her heart and her life to Chief Colin Winters? There were so many twists to the story that I was kept guessing how it all tied together until the very end. If you have any interest in suspense novels you won’t go wrong by picking up this wonderful book. I received a free copy of this book from the author in exchange for my honest opinion. This is the 6th book in the Mountain Cove series but can be read as a standalone. This author is one of my favorite authors of Christian suspense, and she certainly didn't disappoint with this one. The story had me pulled in from the first pages, and it is another one that I read in one setting because I didn't want to put it down. 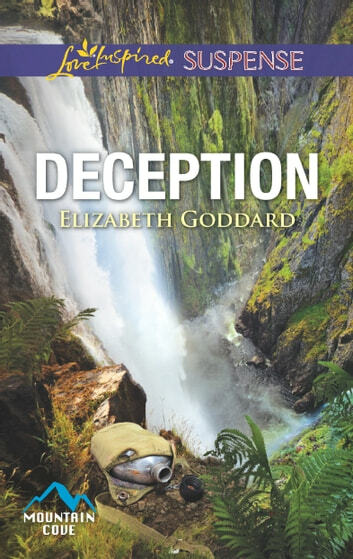 Elizabeth certainly knows how to combine wonderful characters with the elements of faith, suspense and romance and write a story that keeps the reader turning pages to see what is going to happen next. I was given a copy of this book in return for an honest review, and I definitely recommend this one along with the other books in the series. This book is the 6th in the Mountain Cove series but it can be read as a stand alone. Even though there are characters from past books, you will not be confused by their appearance if you haven't read the other books. This book has non-stop action so be ready to hold on to your seat! That's what I love about Beth Goddard's books. She holds the reader's attention with her storylines so well. In this book you think you know who the villain is right away but there are so many twists and turns that you are constantly wondering if you are right or not! The story is set in beautiful Alaska but the rugged scenery lends to the story itself as nature creates some of the suspense throughout the book. There are problems at the waterfalls and the ice caves and the trees and the rivers. The heroine, Jewel, is being hunted and targeted and she doesn't really know why. She is constantly being attacked and how she survives all these attacks, I can hardly believe! Poor woman! The chief of police, Colin, has always been interested in Jewel but has never acted on those feelings. Now, however, he wont stand by and see her killed! He does everything possible to being her attacker to justice. Open the book and be prepared for a great story and great characters! It's an awesome read!